Will More Prominent Colleges Abandon the SAT? For college-bound students, scoring high on the SAT has always been imperative to getting admitted into universities and colleges of stature. Admissions offices traditionally weigh SAT scores as one of the predominant factors in offering acceptance letters to students. And though that's still the case for many elite universities, more higher ed institutions are taking the SAT and ACT off the criteria list for admission. The most recent addition to the list of "test optional" institutions is the prominent Ithaca College, which announced that it would abandon test score requirements for admissions last month. Ithaca College, averaging 12,000 yearly applicants, will now base an applicant’s ability on predictors other than SAT or the ACT test scores. The college has been rethinking standardized tests for some time, according to the vice president of Enrollment and Communication Eric Maguire. Not only do these tests fail to give a truly accurate assessment of a student’s ability, but they also bar diverse range of students from applying, he says. “Standardized test scores add remarkably little to our ability to predict a student’s success." 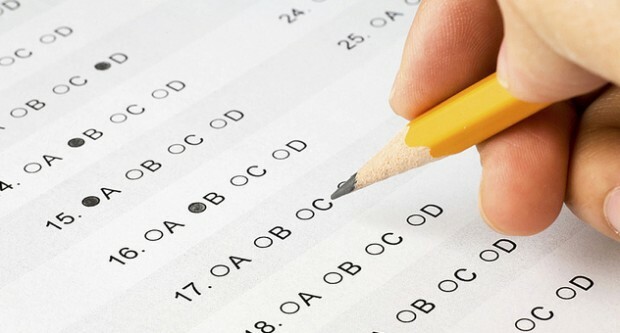 Though Ithaca is perhaps the most prominent institution to abandon standardized testing as a key element in the admissions process, the test optional movement, as it's called, has been around for more than 40 years. It began in the late 1960s, when alternative schools like Vermont’s Burlington College rejected standardized testing – or even letter grades. Civil rights groups posited that standardized tests harbor a cultural and racial bias, and that they screen out qualified students who might be unfamiliar with certain cultural assumptions. For instance, students who know little about credit cards will be hard pressed to answer questions about interest rates. In 1985, the National Center for Fair and Open Testing – or FairTest – was formed to advocate for a more holistic and concentrated look at a student’s qualifications. The organization initially focused on unconscious racial bias built into the SAT and ACT content, but has since expanded its critique to denounce the standardized testing regimen more generally. The movement got a big boost in 2001, when Richard Atkinson, the president of the University of California system, proposed abandoning the SAT as a requirement for admission. “America’s overemphasis on the SAT is compromising our educational system,” he said in a speech to the American Council on Education. The UC Board of Regents never adopted Atkinson’s suggestion, but since then, more and more colleges have adopted “test optional” admissions programs. Many have adopted the system used by the Lewis & Clark College of Arts and Sciences, which went test optional in 1990. Most applicants still offer SAT scores, but those who don’t may submit a portfolio of a grade point average, a sample of math tests and science laboratory reports, and analytical writing samples; teacher evaluations are mandatory. Nevertheless, Meyer understands why more universities don’t adopt a test-optional policy. Smaller colleges like Lewis & Clark have a smaller number of applicants – roughly 6,500 every year -- and the time and staff needed to more thoroughly review applications. According to FairTest’s Robert Schaeffer, only 850 colleges offer some sort of test optional review process. And of those, according to a review of the list on FairTest’s website, most are either vocational colleges like the DeVry Institute, Yeshiva schools, or small liberal arts colleges like Lewis & Clark. That’s why Ithaca College’s decision is so important. This year, the college reviewed more than 12,000 applications. If Ithaca can assess this many candidates without the SAT, maybe the test could be optional for more than the boutique colleges of America.